Getting traffic to your site is hard. And it’s even harder to get someone to sign up to your email list. So why not have all that effort bring in a profit for you? I know your time is limited. You have a lot of things going on. So I want to share shortcuts and systems with you that will work not just one day 1, but on day 100 too! What if you can do something today that will bring you in $10 every day? And as your traffic grows, it can grow to $100 a day? 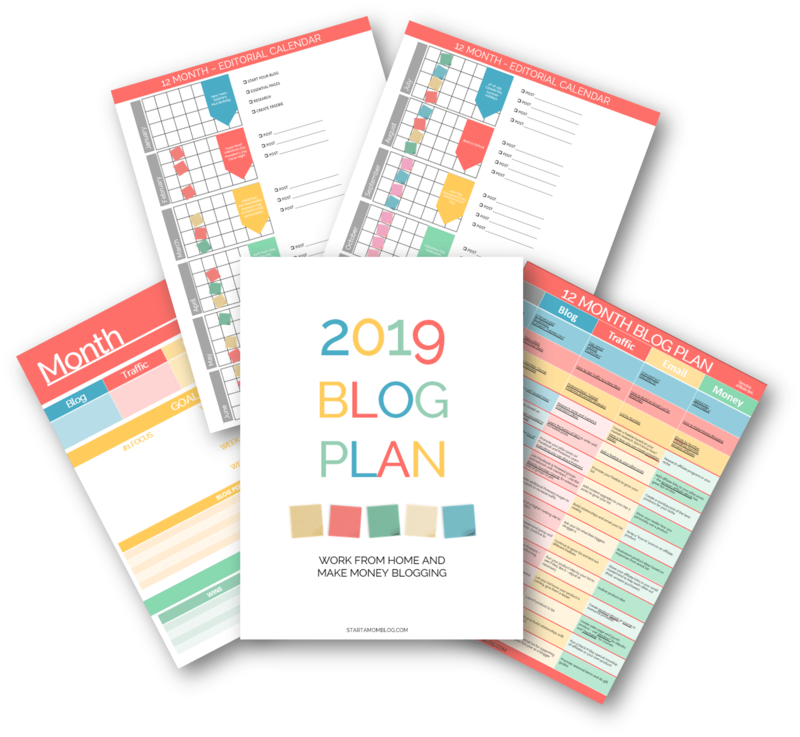 Most bloggers have a goal of covering the mortgage or paying off debt with their blog – and that amount of money will make a huge difference! Okay, so what is this 3 step funnel? It consists of three little pages on your blog. If you work on it today, it will take you about an hour to set up. You can always come back and tweak it – but I recommend getting it up sooner than later! I wish I did! Below is a method I use to both build my email list and make passive income with my blog. 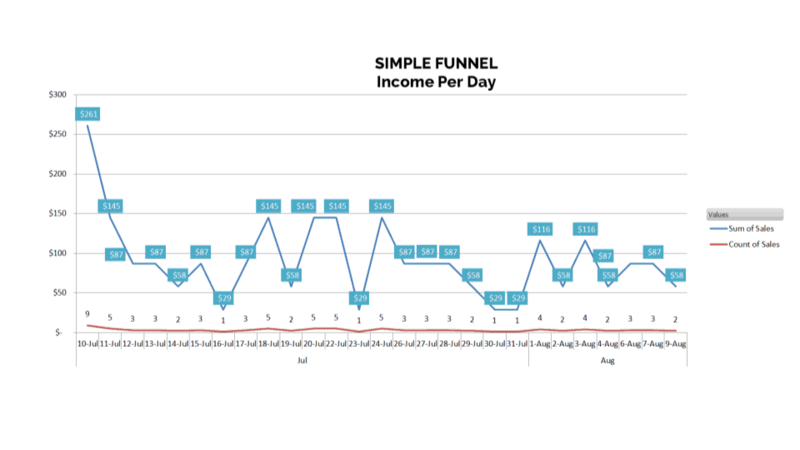 This simple funnel brings in about $100/day. Of course this could be much higher if I had more traffic or a higher rate of conversion – but my numbers are pretty attainable and normal. So you can do this too! 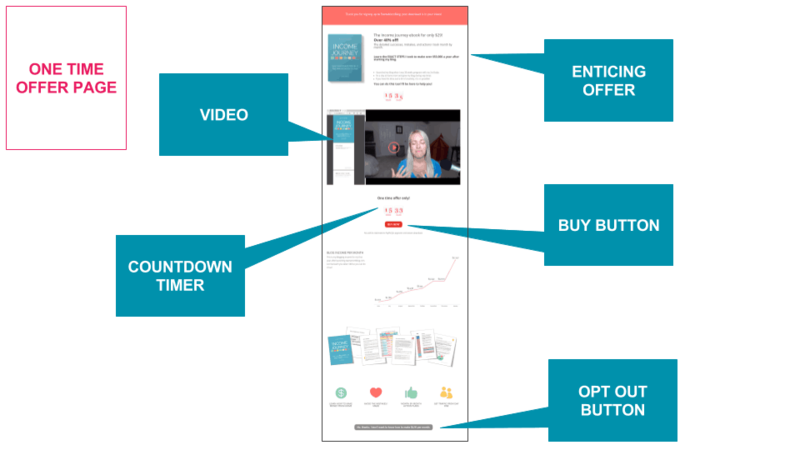 The video explains the overview of the funnel and has step by step instructions how you can replicate this on your blog! Enjoy! 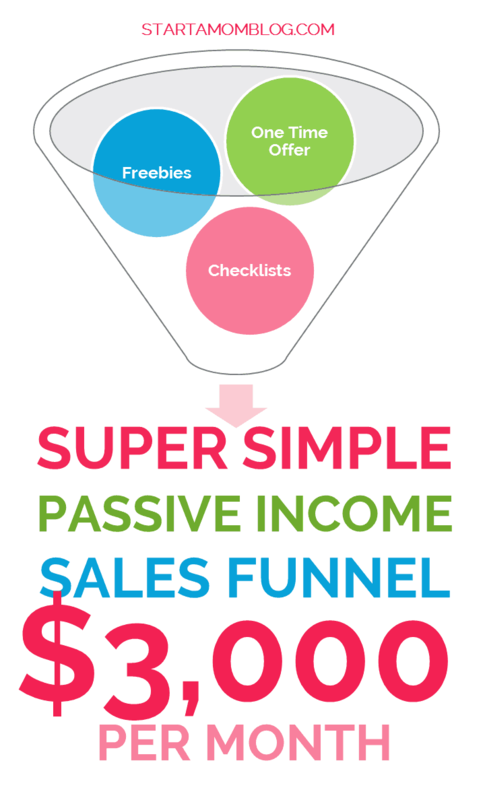 Over $2,400 in passive income sales from one simple funnel! Here is a quick overview of the simple funnel. It consists of three steps, a sign up page, a one time offer page and a thank you page. It’s $9 and will be well worth the small investment! The webpage looks like something from the 90’s, but trust me, it works super well! Sometimes its the simple things that work the best. You can get the plugin here. On the One Time Offer page you can entice your recent subscriber to purchase your product at a discount. For my audience both 40% and 50% discounts converted the same. So I went with the 40% off offer. If you don’t have a product yet, you can reach out to the owner of a product you’re an affiliate for. For example, you can sign up to be an affiliate for the Blog by Number ebook (bottom of the page) and use that as your one time offer. But since it’s not your product, you can’t really offer a discount. But you can offer an incentive!  If someone purchases the Blog by Number ebook through your affiliate link (provided on your OTO page) you will send them an exclusive freebie, or allow them access in your Facebook group, or give them a bonus of some sort. Make sure to chose a product that your audience will like and that relates to the freebie they just signed up for. It may be a little out of left field if your reader signs up for ‘101 Parenting Hacks’ and gets a one time offer on a blogging ebook. To make sure your conversions are as high as possible, choose a product that works well with your niche. I assume you already have a sign up box enabled on your blog. If you don’t then make sure to start building your email list as soon as possible! If you already use Convertkit, fantastic! Go into your form settings and make your freebie offer redirect to your One Time Offer page. 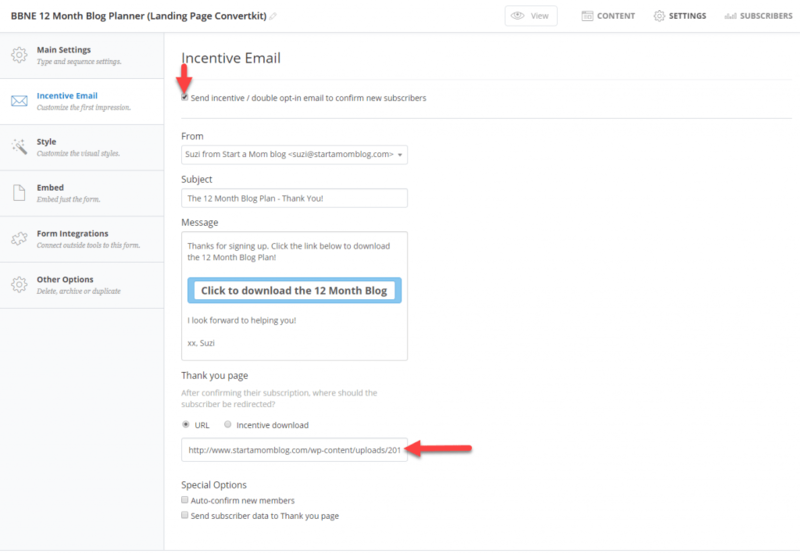 Use the Incentive Email functionality from Convertkit to send the freebie to your reader’s inbox. Lastly, when the reader allows the timer to run out redirect the page to a Thank You page. On my Thank You page I include a quick snippet of how they can access the freebie they signed up for, and I include a list of my products. You can include your most popular posts if you don’t have products yet. This super simple three step funnel (sign up, one time offer, thank you page) has made me over $2,000 passively in the last month. 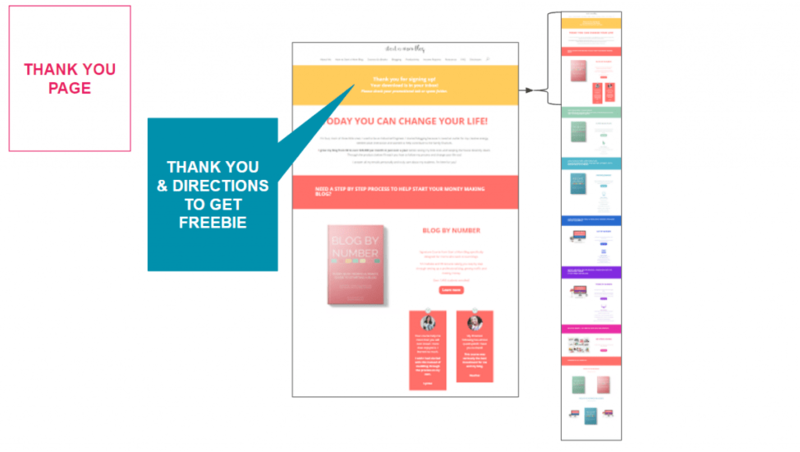 Instead of redirecting recent sign ups to the freebie immediately or to a thank you page, I give them a quick one time offer. This is a win-win for both of us! They get a sweet deal and I get passive income. If the offer fits well with the freebie and with your niche, it will convert higher. Test out different products and offers and see what works best for your audience! That’s the fun part about blogging – you’re experimenting and learning every day! I’m so proud of you momma!! You can also use all in one marketing solution program like Kartra or Clickfunnels to do something like this too! 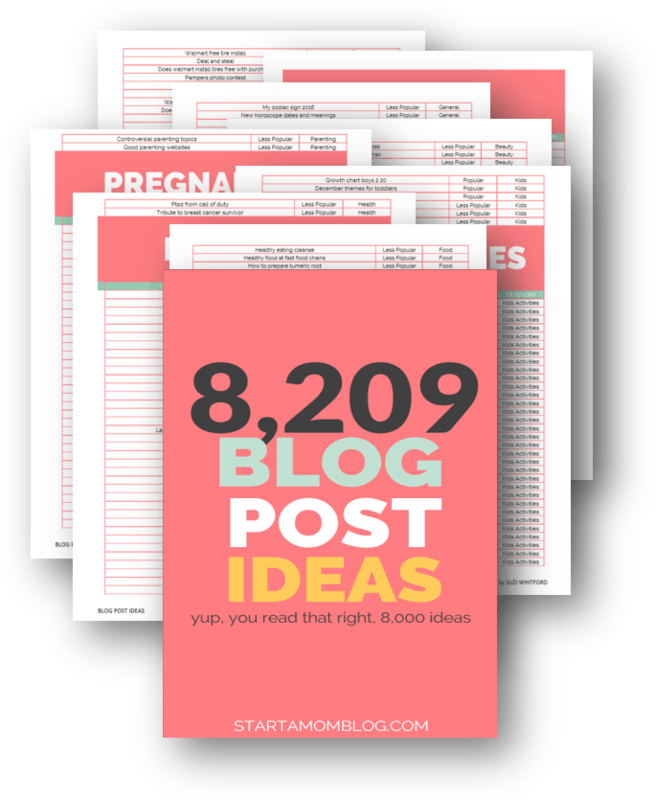 Although, my method above is the cheapest if you already have an established blog. Pin the post so you can refer back to it later! You don’t want to forget to set this up and miss out on passive income you could be making! I always wanted to create a tripwire offer but the popular deadline software was too expensive. I wouldn’t have known about this pocket friendly countdown dynamite plugin. Thank you so much for this entire post, Suzi. What a fantastic idea Suzi. Thankyou! Great to know about the plugin. How do you configure it in Sendowl? Have a duplicate product with two different prices? I have courses I’m creating in Teachable. I’m wondering how I would have a discounted product that is hidden from my other Teachable students? Maybe I would have to include a discount code on the OTO page? But then I couldnt make the discount code time sensitive for each individual. Any thoughts? Joanna, you’re spot on! I have two products in SendOwl (one at the full price which is on the sales page, and one at the discount which is used in the OTO page). Coupon codes get tricky because you have to monitor them and because it creates an extra step for the reader. In Teachable – if I have the same course at different prices, I just don’t publish the lower cost one – that way I can still direct people to the course through a direct link, but it’s not easily visible on my school’s front page. How do you insert the code if you are using Divi theme? I tried using the code module but that doesn’t work. For the sign up form? I just use a regular text module in Divi and paste the code there 🙂 Does that help? I’ve had these trip wire things on my todo list for a while, but haven’t found an easy and affordable way to do this to get started. Thanks for recommending this awesome little plugin! Yes! Always here to help Julie!! Fantastic! I’m so glad you already made a few sales from it! Please keep us updated on your awesome success! Thank you Jessica! Great idea!! This is a great strategy and so simple to set up! Thanks for sharing! You mentioned doing a OTO offer with an affiliate product by bundling an exclusive freebie, which sounds like an awesome idea. However, I’m struggling to figure out how this would actually be implemented given that the affiliate product and my exclusive freebie would not be on the same platform. Is there a way to automate the delivery of a freebie without knowing who actually bought the affiliate product (most affiliate platforms do not give you the email address of the person that bought the product)? How have you been able to configure this type of setup? This is such a smart idea, as always!! Love how simple this is! Hi, what is conversion of your OTO? I mean what percent of subscribers is converting on your oto ? Suzi, are you still happy with this plugin? Does it work okay with Gutenberg? Thanks! This is an awesome post!!! Such a great tutorial! Thank you so much! Working on my products this summer so this will come in handy when I’m done! So happy you like it Tammy!! This was an amazing video, I’ve always wanted to do this, and now I can! I do have a question though. I use woocommerce and paypal. Do I have to make a duplicate product? I tried making a duplicate and it was visible in my shop and I wasn’t sure how to have the product not show up publically but still have the product available for those who click the limited time offer. Thanks! I am having trouble with the redirect on the one time offer page. I can’t get the page to show to get the link because it is redirecting. I am doing something wrong? I am trying to add the link into convertkit, but I can’t get the correct link. I can view the page in edit but not in preview mode. Thanks for the fantastic tutorial, it’s the clearest I’ve found. However, your OTO page has a discount link but no scarcity. Are you still using scarcity? If you removed it could you please let me know why?